Just the right service to fit your landscape needs. At Kentucky Professional Turf in Versailles, KY, we know your lawn needs are different from your neighbors. Some yards require additional treatments beyond fertilizer and weed control. A little additional care might be all you need to have the luscious lawn you and your family will love and adore. In addition to our seven-part Lawn Fertilization & Weed Control Program, the experts at Kentucky Professional Turf offer a variety of other services to keep your entire lawn in tip-top shape. We want you to enjoy spending time in your yard, and we wouldn’t mind if the neighbors were a little jealous of your healthy lawn too. For over 30 years, our experienced staff has managed and maintained lawns for a wide variety of customers from horse farms to small residential properties. We value every client and strive to make your lawn a luxurious joy to come home to every day and night. One of our experts from Kentucky Professional Turf will pull an aerator behind a heavy duty tractor. In comparison to the walking lawn aeration method, our tractor aerator takes less time, is more efficient, and produces much better results. We use our professional grade aeration equipment on the finest golf courses in the area and a wide variety of residential properties. No lawn is too big or small for Kentucky Professional Turf. Aeration is essential in promoting healthy grass growth. Aerating loosens up the soil to improve water retention. The experts at Kentucky Professional Turf will determine the optimal time to use our aerator if we feel your grass could improve from this lawn service. Gorgeous greenery is a source of enjoyment and shade in your yard. 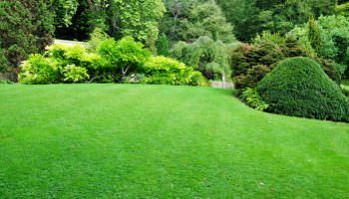 Unhealthy trees and shrubs can ruin the look and beauty of your entire lawn. If something is wrong with your landscape’s trees and shrubs, the specialists at Kentucky Professional Turf will determine the type of insect or disease that is harming or destroying your greenery and create a personalized plan to stop and control the damage. We’ll also come up with the best deep root fertilizer program to restore and enhance growth. Grubs are a prevalent problem in the Kentucky area, and if you don’t manage the pests properly, your lawn could become extremely damaged. We’ll periodically scan and assess your lawn for signs of a grub infestation, and create a safe elimination plan. Preventive grub control is the best way to ensure your lawn avoids a grub outbreak and remains healthy and happy. Call the friendly experts at Kentucky Professional Turf today about any of our lawn care add-on programs like lawn aeration, tree and shrub care, and grub control treatment plans.